TEAM-TEACHING Menu Show search box. Civic Engagement at Chico State. 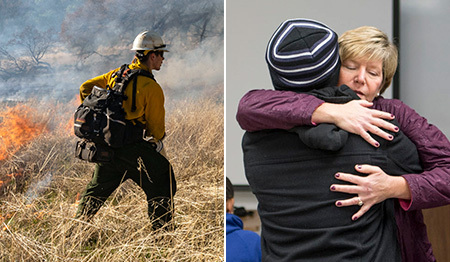 On November 8, 2018 a devastating wildfire destroyed the town of Paradise, California and the effects on the entire North State have been tremendous. While we grieve and begin to think about the recovery process, we recognize the important “dangerous opportunity” this provides for us as an Institution to teach and learn from each other. There are so many aspects of this disaster that we could never have imagined – from resource management, to climate change, to social services, to social change. This website and links are meant to provide a resource for all of us as we move forward from this tragedy. Your ideas and input are very welcome.